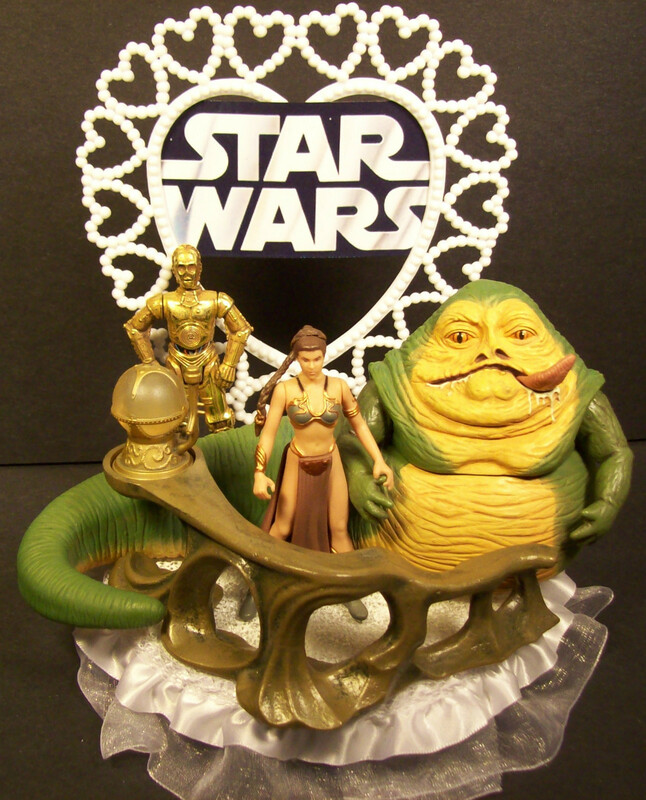 I think it’s theoretically possible to do a good Jabba/Slave Leia themed wedding cake topper, although it’s tricky since it simultaneously implies that the groom is a fat slug and that the bride is his slave. In any case, this is not a good example of the concept. Even a big Star Wars nerd like me wouldn’t just plop some action figures on top of a wedding cake — especially not modern figures. The asking price of $120 is just the icing on the cake, so to speak.